The San Francisco-based bulletin board that connects people with interests including food, fashion, travel and lifestyle said it would trade under the symbol PINS on the New York Stock Exchange. "Pinterest is where more than 250 million people around the world go to get inspiration for their lives," the company said in its filing with the Securities and Exchange Commission, which is expected to seek a valuation of around $12 billion. "They come to discover ideas for just about anything you can imagine: daily activities like cooking dinner or deciding what to wear, major commitments like remodeling a house or training for a marathon, ongoing passions like fly fishing or fashion and milestone events like planning a wedding or a dream vacation." Documents for the initial public offering showed Pinterest lost $63 million in 2018 on revenue of $755.9 million. That compared with a loss of $130.0 million on $473 million in 2017 revenue. Launched in 2010, Pinterest brings in money from its role in online shopping and from advertising. It becomes the latest of the richly valued tech startups worth more than $1 billion, sometimes called "unicorns," to hit Wall Street. Ride-hailing giant Lyft is expected to begin trading next week and rival Uber is likely to announce terms of its IPO soon. Details of the Pinterest offering were absent, with a temporary placeholder sum of $100 million to be raised, an amount likely to rise substantially. 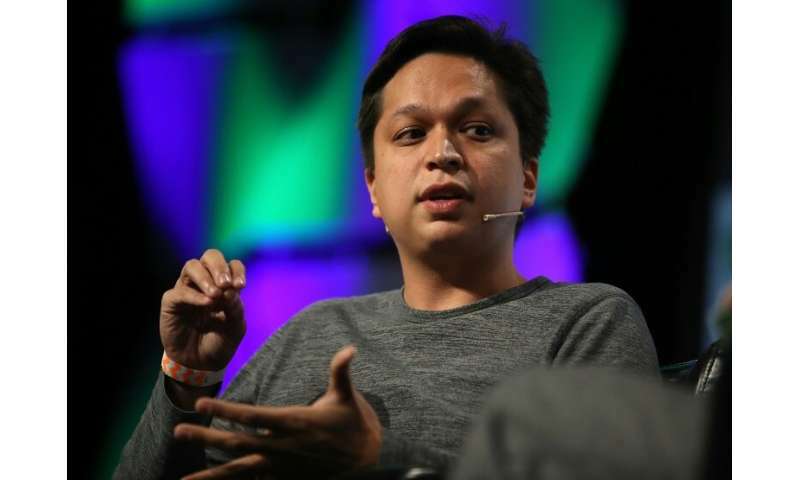 Like several other startups, Pinterest will use a dual-class share structure that enables the founders, including chief executive Ben Silbermann, to retain control. The research firm eMarketer expects Pinterest's global ad revenues to hit $1 billion this year, making up just 0.3 percent of the total digital ad spend. Pinterest boasts having become a hit with millennials and women who wield buying clout in homes, winning their attention with virtual bulletin boards that they decorate with pictures showcasing interests in anything from food to sports, fashion or travel. Pinterest went on to weave in advertising and ways to buy items shown in posts, but said in the SEC filing that "substantially all" of its revenue comes from ads. Risk factors cited by Pinterest included competitors mimicking its products well enough to lure away users. Facebook-owned Instagram this week ramped up its challenge to Pinterest, moving into potentially lucrative e-commerce by adding an option to buy products shown off in posts by selected brands. "When you find a product you love, you can now buy it without leaving the app," the Silicon Valley based division said in an online post. Pinterest also warned potential investors that while a Comscore study indicated that its US audience is 43 percent of internet users, including about 80 percent of adult women with children, it will need to penetrate other demographics such as men and international users for growth. Laws regarding data privacy or removing content could also hamper the online bulletin board, according to the filing.